Overall I'm just not too impressed. 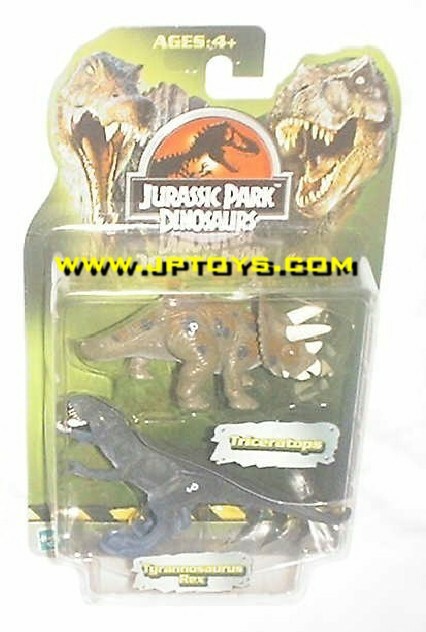 Repaints are one thing but excluding the Triceratops (only because it's a new mold), these new micro dinos are just plain uninspiring and hideous. The days of "well at least we're getting something new" are long over IMO. 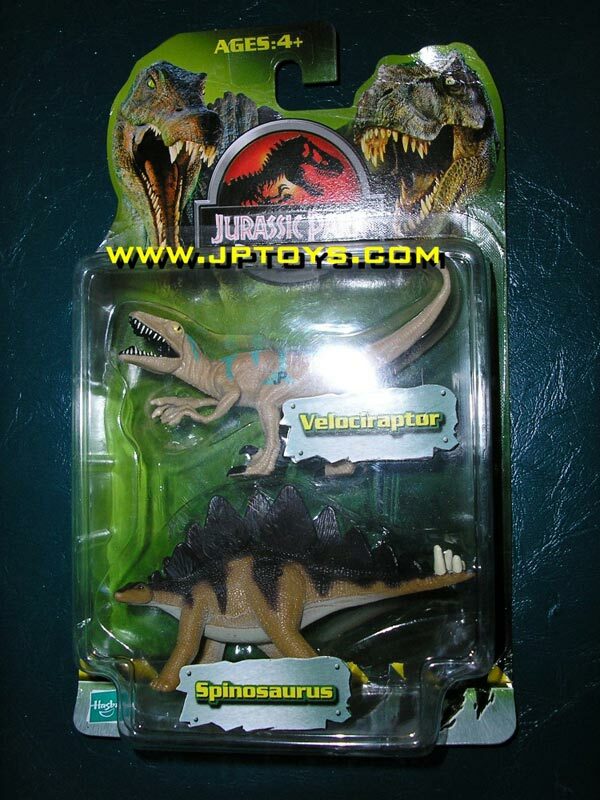 They were even careless enough to label the Stegosaurus a "Spinosaurus" on the front of the Raptor/Stego box (unless of course it's an error). They probably thought we'd never notice huh? 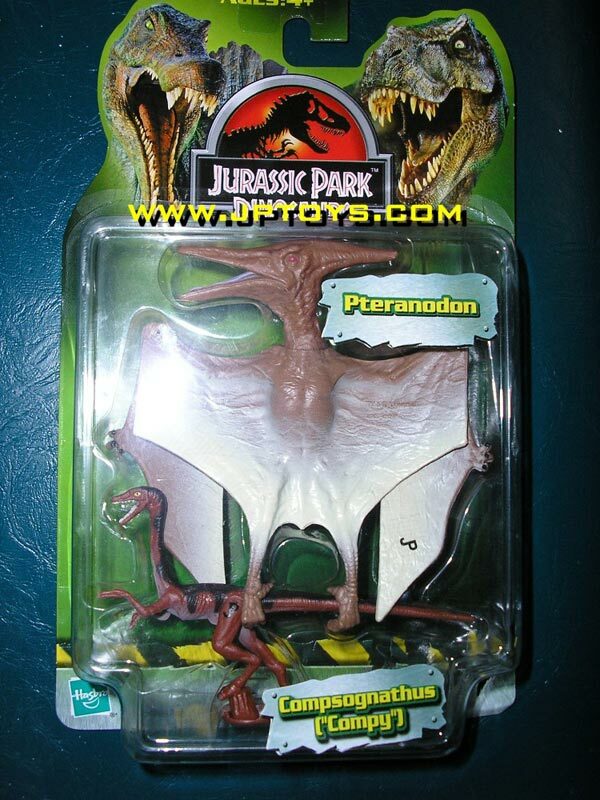 Silly JP toy fans. Hasbro should be ashamed, we as JP fans deserve more! "I'm new to the board and I just returned from Florida. I was at Universal Studios, Orlando. I loved the JP area at the Islands of Adventure. The river ride was great but a bit short and the discovery center was closed off for remodeling!!! . Anyways back on the subject. 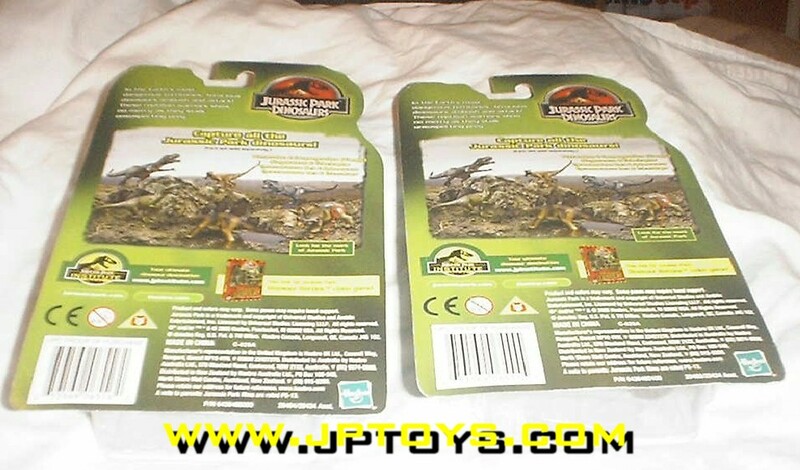 As you all may know there is a new series of mini JPD("Jurassic park dinosaurs") being released by Hasbro, along with the large electronic t-rex & pterranodon, and the regular 3 electronic dinos w/3 mini dinos. I happen to go shopping around in the smaller shop that is located within the discovery center and to my surprise they had all 4 of the new mini-dino packs. 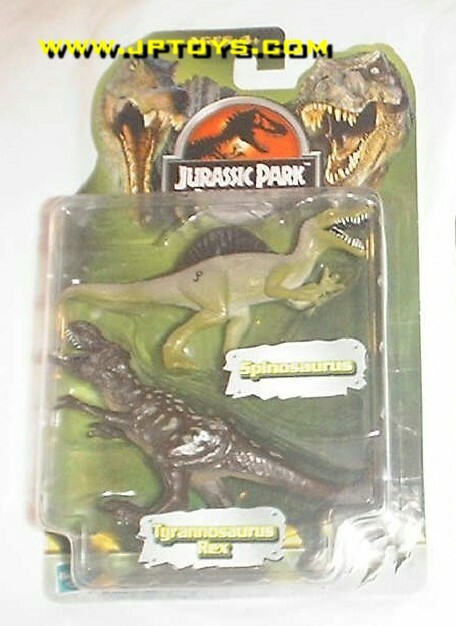 I purchased the "Tyrannosaurus Rex & Spinosaurus" and the "Tyrannosaurus Rex & Triceratops." Both are great! This line is starting to get serious and is showing more "realistic/movie-like" paint apps. They don't appear silly or odd like their previous releases." Unfortunately he was not able to pass along pics at this time. We will of course post anything right here once we receive it so stay tuned. In news around the site today, some pretty cool new CE prototypes of Ian Malcom & Roland Tembo were spotted by forum member 'cityscapes' and those are now up for your viewing pleasure in our prototypes section. Finally today we have a new diorama gallery from 'dilophosaurus1' that includes over 17 dioramas. Nothing "earth shattering" to pass along today but we do have 2 new diorama galleries from 'Geo' & 'JP Nic' that are now up for your viewing pleasure. In another update to our packaged JPS2 Ornithosuchus story (see below) the auction has finally ended and went for a whopping 1,830 pounds or $3,247.88 to us Americans. Yes you read that right, over $3000! The winning bidder also lays claim to the only Desert Spino we know to exist so he has indeed added another rare gem to his collection. If we are able to obtain any more information on this item, we'll be sure to pass it along here. As you may or may not have noticed lately, we've recently undertaken the task of updating some of our older toy database shots as well as adding hundreds of new ones. The update was LONG overdue but better late than never...right? We'll continue to add shots in the coming weeks but the massive first push is over with, just a few things here and there left. I also have to thank our good friend Marten (better known as 'Gallimimus' on the forum) for helping provide many of the new shots you see. He has been quite genrous with his time and for that, I will always be grateful! Other than that today, we have a new collection gallery up from 'Triceratops123' and it's in flash!